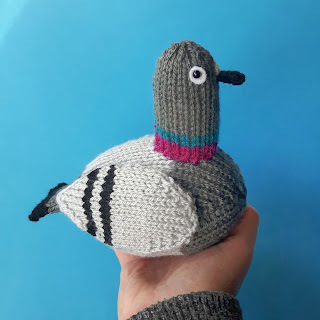 Coo! 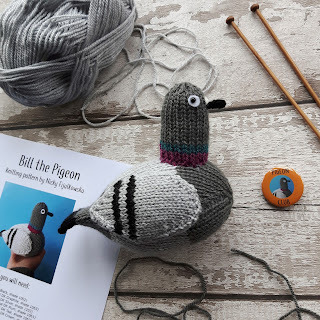 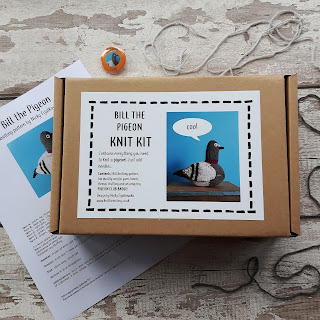 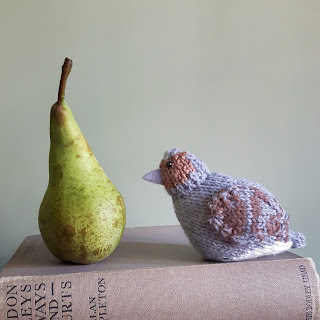 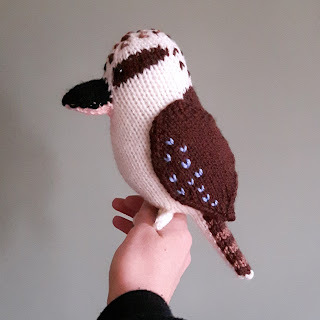 Here’s Bill the Pigeon – he’s here to tell you that his pigeon knitting pattern and pigeon knit kit are now available in my Etsy shop, so you can knit a flock of Bills of your very own! 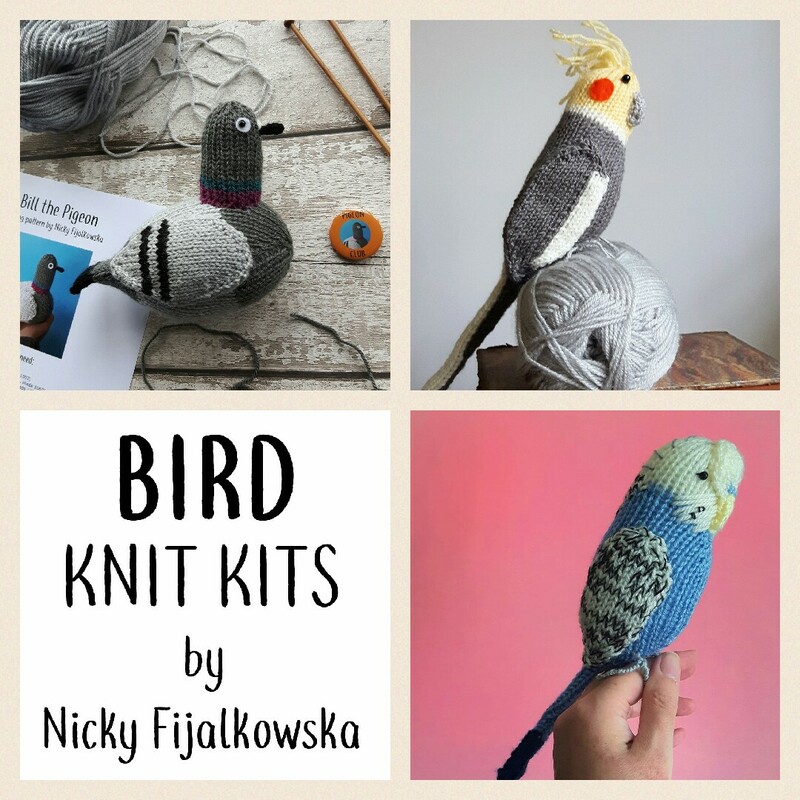 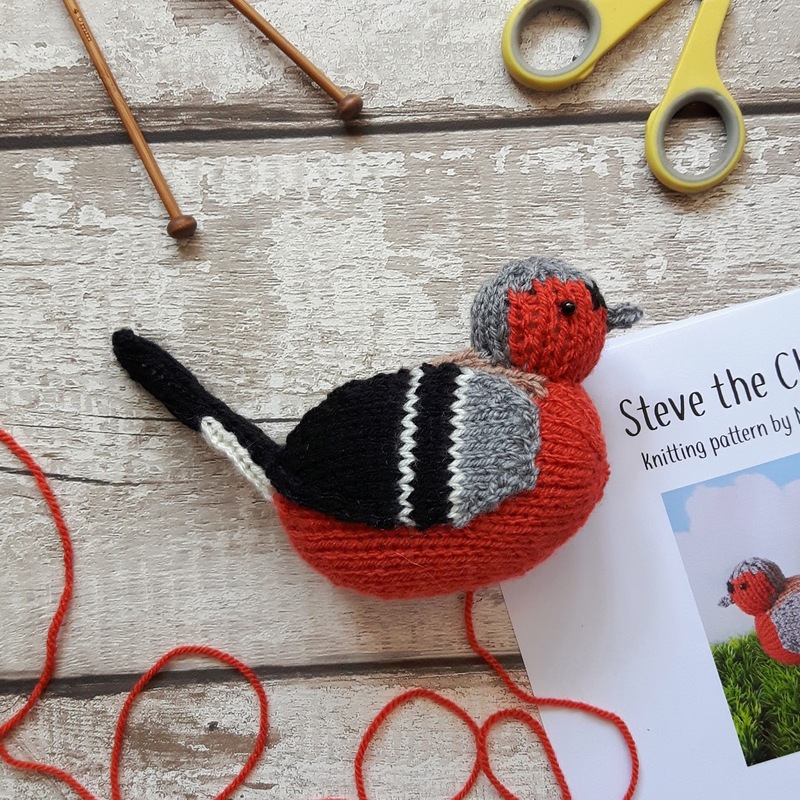 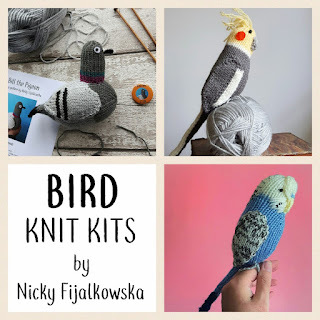 The pattern is available as an instant download and the knit kit contains everything that you need to knit Bill, apart from needles – you also get a cute Pigeon Club badge! Meet Noel the Partridge! He’s a cute knitted partridge, who’s ready to hop on your Christmas tree (or pear tree) and he’d make a great holiday season gift. 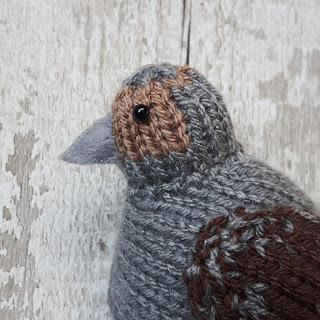 He’s 12cm tall, super friendly, and available as a knit kit or PDF pattern from Etsy, Ravelry and Love Knitting. 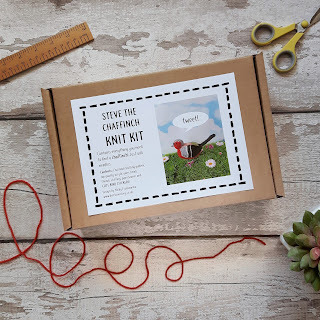 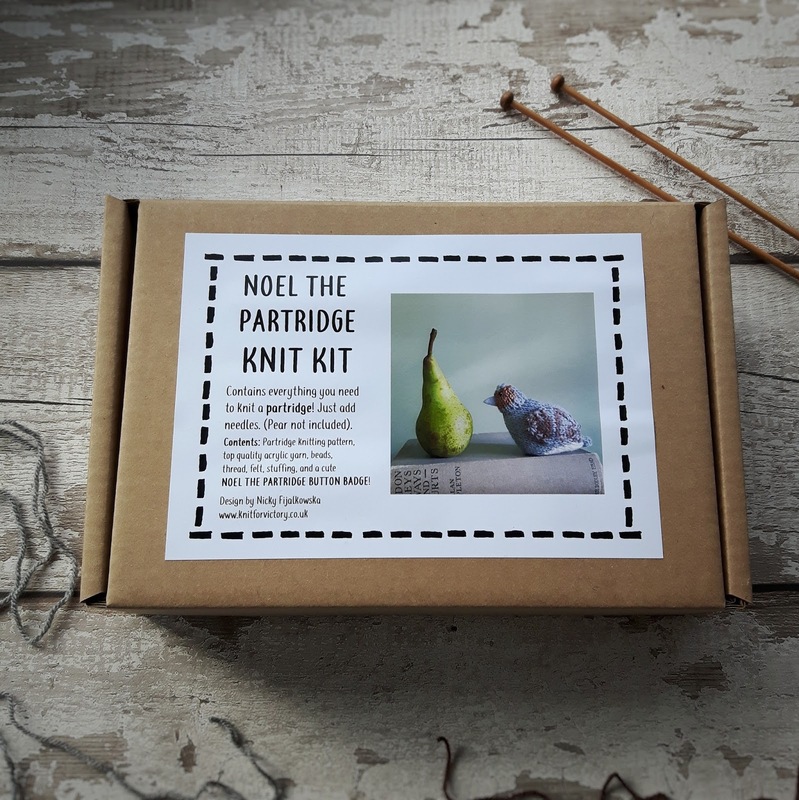 The knit kit contains everything you need to knit Noel, apart from needles – and you also get a cute button badge of Noel and his much-loved pear. 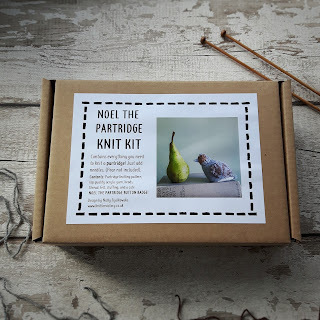 And the next knit kit is ready and waiting for your needles to work their magic! 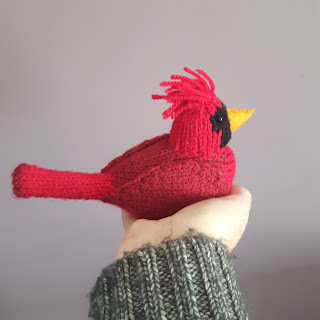 This is Bob, the Northern Cardinal. He’s the perfect size to sit in your hand, and can’t wait to come and live with you. 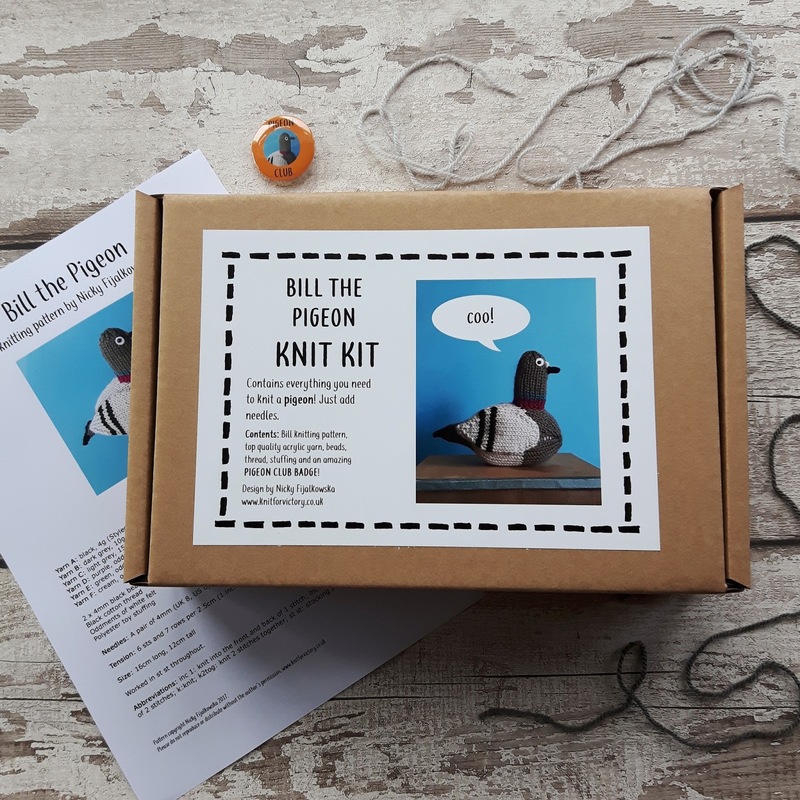 He’s easy to knit on a pair of 4mm knitting needles, and your knit kit will contain everything you need to make Bob, along with a cute Bob button badge. Grab your cardinal knit kit here in my Etsy shop, or download the pattern from Ravelry and Love Knitting!